I don’t drive through Geneva National as much as I used to. That’s obvious I guess, since I lived in the development for four years before moving out 15 months ago. I was in GN yesterday looking at some property, and found a considerable degree of Geneva National nostalgia creeping up on me. The winding roads gave my suspension a chance to prove its mettle. The undulating topography was a nice retreat from the relatively flat roads that surround my current home. I took in the familiar sight of people out walking in the sunshine, even though it was around 11 am on a Thursday. I stopped along side the road to mockingly watch a golfer slice a drive out of bounds. The sights and sounds that I had become so accustomed to as a resident reminded me once again why I like Geneva National so much. I came home last night and started talking about moving back into GN. The real estate market is down there, and there is a substantial amount of inventory that can be purchased for less than the replacement cost. It’s a good time to be a buyer in Geneva National, regardless of the tinge of uncertainty that exists there. That said, I would never touch a handful of the enclaves in GN, and you’d be well served to ask me which ones might be best to avoid if you’re a buyer right now. Of all our individual vacation home markets at Lake Geneva, Geneva National is, in my moderately humble opinion, the most depressed of them all. GN suffers from a geographic detachment from the overall market, which is strange to say seeing as how it’s a mere mile from Geneva Lake and just a couple miles outside of the city of Lake Geneva. The gated entry to the development, while appreciated by me when I lived there, obviously deters buyer traffic, and in turn, keeps many casual buyers from exploring what it is that makes Geneva National so great. Year to date, GN has only recorded 29 sales (vacant land excluded). That’s a number that is miserable at best. Of the 29 sales, it appears that 7 of them were of the distressed variety, being either a short sale or REO purchase. Another, a property that just closed recently at $350k, was an executive transfer, and the relo company probably had to take a very long, very cold bath on that one. With only 29 sales, it is relatively hard to gauge the condition of the market, and the future direction of it as well, but fear not. I’m going to tell you where this market might be heading, so read on. I’ve said it before and I’ll say it until the day I die, which is hopefully several, several decades from now. Geneva National is too beautiful to fail. If banks can be too big to fail, I’ll give GN the too beautiful to fail. If it was a corn field style development, like the sort we see all over this great country of ours, then I wouldn’t be so certain of its vitality, but the strength of this market is in the topography and the woods and streams that make up this utopic property. 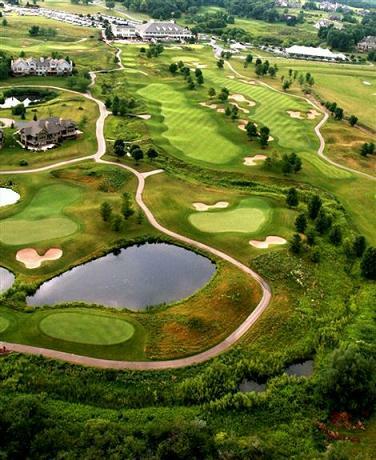 If you’ve never played golf at one of the three Geneva National courses, then you truly don’t understand what you’re missing. 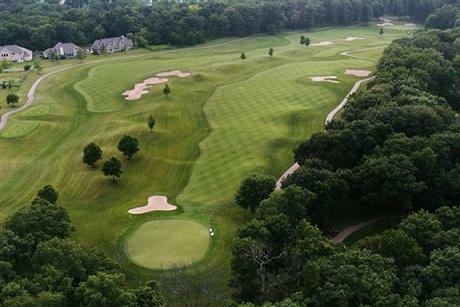 The three golf courses, including the scoring friendly Trevino, are three of the finest courses you can play in the entire midwest. Tim Allen mumbled something about his golf courses breaking your heart at dawn. Sounds poetic Tim, but having my heart broken at dawn when I step to the tee and realize how much money I just paid to play a crappy Michigan course is not a great way to start my day. The golf at GN is fabulous, and again, in the absence of these three courses, GN might be a development that fails to attract a steady flow of buyers in the future. to see roughly a dozen of them head to foreclosure in any given year isn’t exactly a crisis. A solid way to judge the health or weakness of a particular market is to look at the inventory numbers, and set a trend line to see if they’re increasing, decreasing, or remaining stable. We’d prefer to see decreasing inventory, and after several quarters of increasing inventory at GN, we’ve either leveled off, or dropped from those highs. There are currently 126 properties available in GN, not including vacant land, and not including some wierd little time shares that are still on the market there. Much of the inventory remains over priced, particularly at the high end, but there are deals galore up and down the market here. By my guess, Geneva National has returned to 2003 price levels, and in some cases, has even dropped much further. The inventory here is too nice to be overlooked in the long term. The flora and fawna of the property is too beautiful to be ignored for long. The golf and other amenities here are too world class to not register in the minds of buyers for any extended period of time. Yes, Geneva National has slipped, but it remains a first class vacation destination located in the mother of all vacation home markets. Consider this slippage your opportunity to get in here and do a little bottom feeding. I’ll applaud your discretion, and there’s a good chance, that within a couple years, I too may call Geneva National home.